Fall Retreat participants, log in to view your videos! 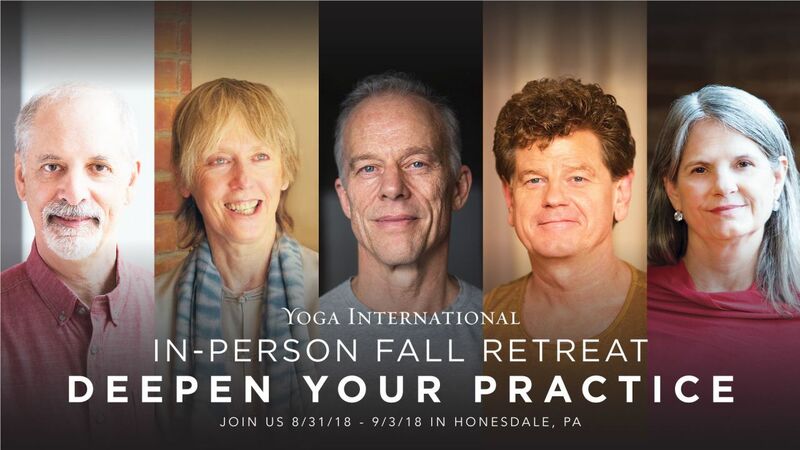 Learn from master teachers Doug Keller, Sally Kempton, Gary Kraftsow, Cyndi Lee, and Rod Stryker as you take your yoga off-line, connect with fellow students, and deepen your practice. During this “choose your own path” event, you can study with each of the five teachers, or you can delve deeper with one over the entire weekend. With extended class times and limited attendance, this intimate retreat gives you direct access to these outstanding leaders in the yoga world. We are thrilled to bring together our thriving online community for this unique opportunity to connect in-person and explore these deep teachings. Space is limited and classes are reserved on a first come, first serve basis. Join us for a memorable weekend of practice, learning, and renewal. View the The Yoga International Fall Retreat: Deepen Your Practice schedule & directory.